The highly anticipated second expansion for Roll for the Galaxy is being released some time in Mars 2019. MSRP $80, a steep price. But probably worth it, read on. The expansion will be compatible with Ambition but will not require it. 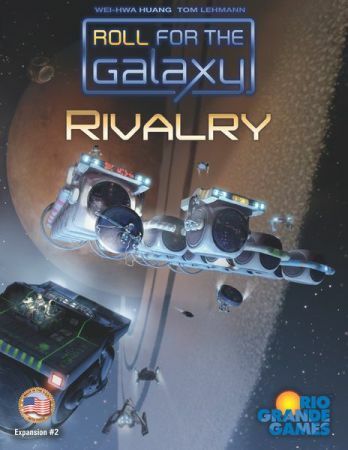 Like stated above, Roll for the Galaxy: Rivalry consists of three expansions in one box. • First off, normal expansion content like a new die type, new start factions, home worlds, game tiles, etc. The expansion will not make the game longer, according to Tom Lehman, except for the first few games, obviously. Tom har also confirmed that the expansion will fit inside the base game box togheter with Ambition. Pick up the expansion here and the base game here. Ambition can be found here.